Today we are walking to the Royal Palace. Our pace is slow, encumbered by my increasingly painful foot. Beginning with a repeat of Sunday's walk to Plaza Mayor; but this time I was narrating aloud from Rick Steve's guide book. 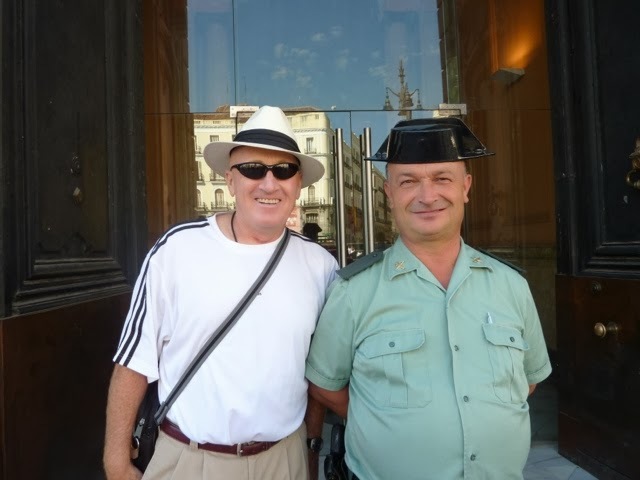 Guards at the Post Office building (which once housed Francisco Franco's doomed political prisoners) wear hats with brims that are specially designed to enable them to lean against a a wall while smoking a cigarette. Ed & Mary enjoyed the stop at Mercado San Miguel. 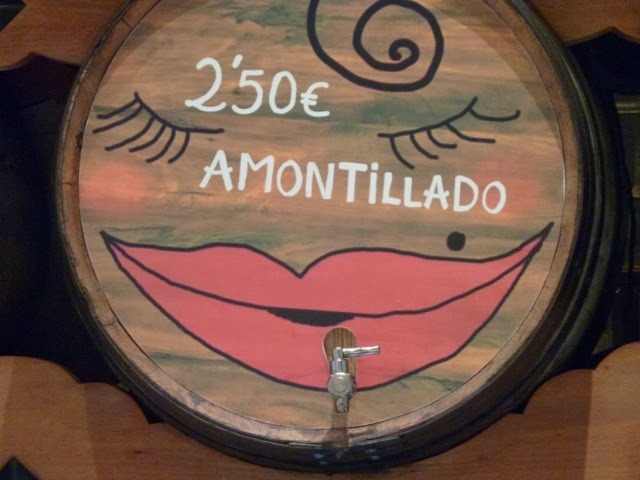 This vendor's offering to pour from a cask of Amontillado reminded me of Edgar Allan Poe ... we left before anyone could wall us up inside a wine cellar.